I remember well the first time I laid eyes on Harlowton. 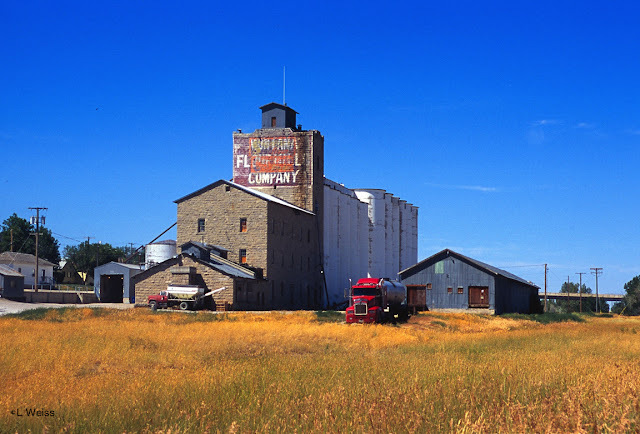 The old horse and I (although at that time, we were both about a decade younger) rolled into town on US12 and stopped at a convenience store that overlooked the flour mill shown in the picture below. The Montana day had heated well through the morning hours but I had learned years before that the best way to spend time outside was to avoid a/c completely. If you never get used to being comfortable, then you never realize how uncomfortable you are. So the old Suburban and I had opted for down windows and no compressor even as the day heated. We shared the pain of the rising mercury together.